You are currently browsing the category archive for the ‘Composite & Vinyl Decks’ category. Consumers today are living with an abundance, some might say an overabundance, of choices. Whether you’re making a purchase at the coffee shop or trying to choose a paint sample for your living room, the options can be overwhelming. 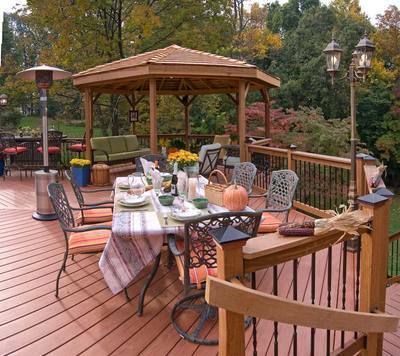 And when it comes to massive product offerings, the decking industry is no different. 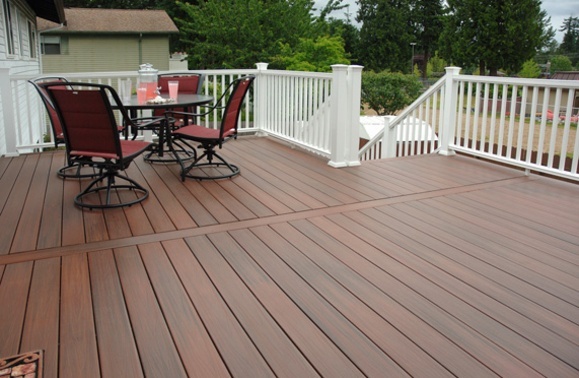 A relatively short time ago, a few types of wood were routinely used as decking material. Choosing was a ‘no-sweat’ process. But with the explosion of available products, decisions are no longer clear cut. Alongside of pressure treated lumber and cedar are composites, capped composites, plastics and imported hardwoods too. To complicate matters, product-lines exist within entire categories from manufacturers such as TimberTech, Fiberon, AZEK, Gossen, Trex and others. Feeling dizzy? Let’s break it down. For example, within the wood category, from lowest to highest in cost, you’ll find pressure treated lumber; cedar, redwood, cypress; and American hardwoods or tropical hardwoods like Tigerwood, Ipe or Teak. Within the synthetic category you’ll discover a bonanza of composites, capped composites and PVC materials (also referred to as vinyl and plastic decking). What’s the difference among synthetics? Composite lumber combines wood fibers and plastic. Vinyl/PVC/plastic contains no wood at all. 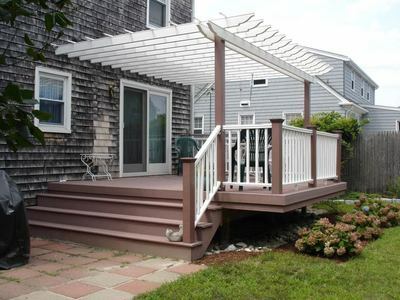 And capped composite is a hybrid: decking boards are composite however the board has a vinyl cap. In most cases, composite is the least expensive material, vinyl is the most expensive and capped composite falls somewhere in between. 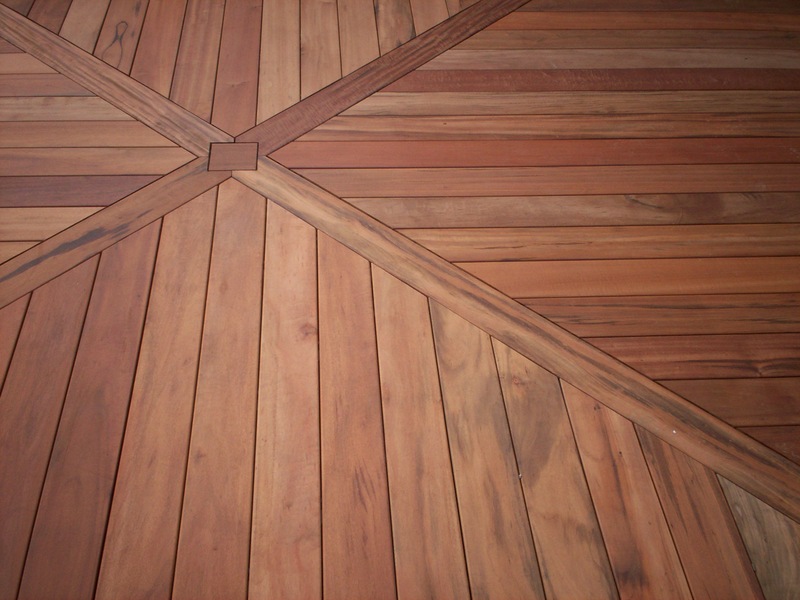 High-Tech Decking Materials: How to choose? Technology is everywhere and changes are rapid. Whether it’s a software upgrade for a laptop, a new smart phone with GPS or a fuel-efficient ‘green’ car, the full-force of technology reaches far and wide. 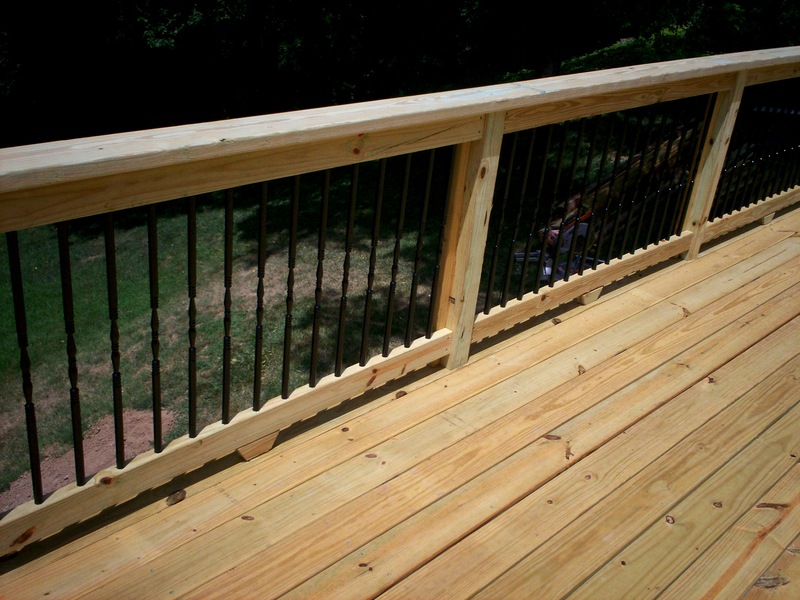 And the decking industry is no exception. Technological advances have had a major (a major!) impact on contractors as well. In a good way! Every single day, contractors like Archadeck rely on high-tech communication, digital photography, computerized design software and an internet presence including websites, blogs, Pinterest and other social media. We utilize laptops, tablets and cell phones for all aspects of the business – the whole shabang. But beyond day-to-day business operations, technology has also had a huge influence on the construction-end of the business with the building materials we use. And the scope of available products has ballooned because of this evolving technology and marketplace demand. Of course, traditional commodities like pressure treated wood, cedar and natural hardwoods still play a big role in the enterprise of outdoor living. More and more options, however, are now available to consumers with developments in synthetics and composites which are manufactured with convenience, aesthetics and longevity in mind. Many folks mistakenly use the terms ‘composite’ and ‘synthetic’ interchangeably. In reality, they are manufactured with quite different technology. In the scope of building materials for the decking industry, composite decking is a relatively new product that has been on the market for approximately 20 years. 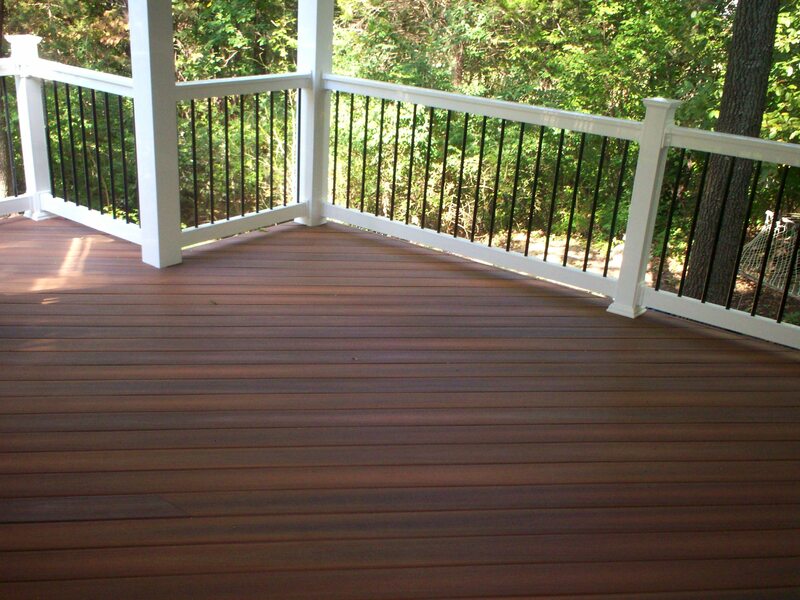 But during this short time-frame, composite decking has truly revolutionized the industry. 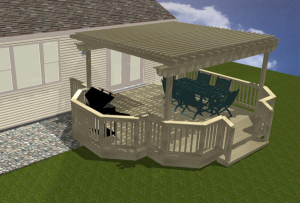 As time passes, weather conditions and daily wear-and-tear can take its toll on a backyard deck. And just like any other type of home maintenance, deck cleaning, repair or replacement is simply a part of a home’s up-keep. 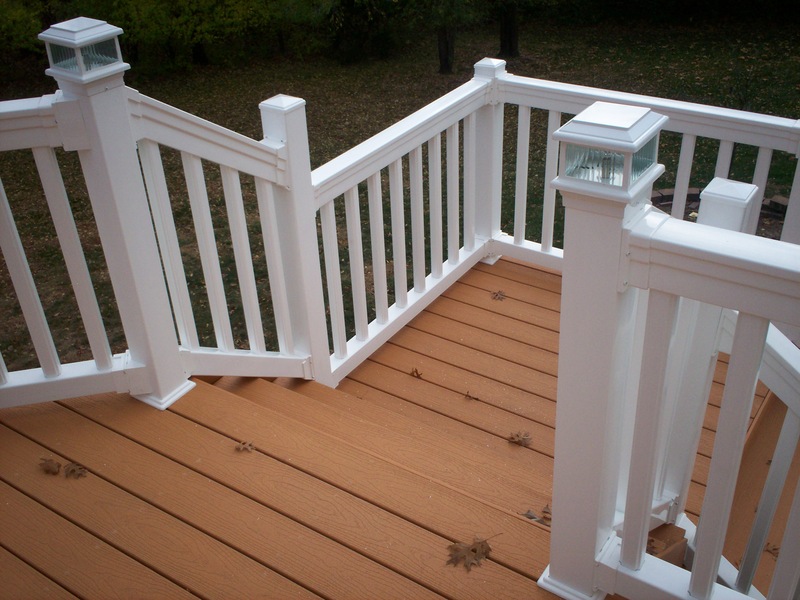 But if your old deck needs a complete tear-down, it’s best to leave it to the professionals because replacement can be tricky and involves more than just cosmetics. 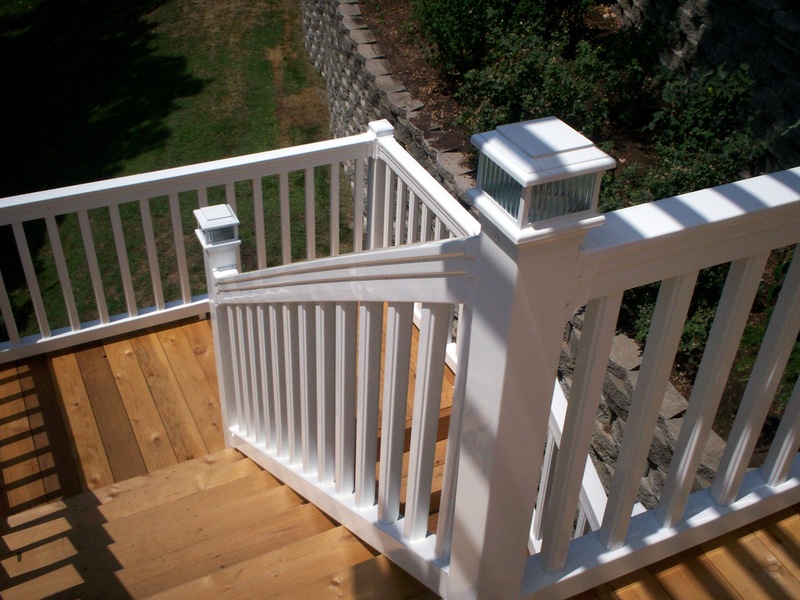 It involves safety, particularly for raised, elevated, multilevel or two story decks. 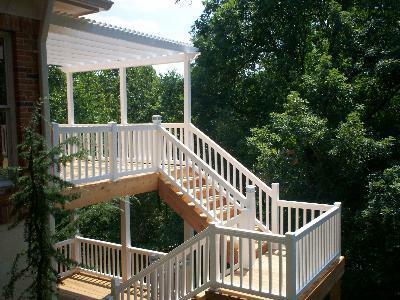 A professional contractor or inspector can best help you determine the safety of your existing structure with tips for repairs or, if needed, a design plan for building a replacement deck too. But maybe, just maybe, a full deck replacement isn’t necessary. Thus, a little self-help advice or a plan for remodeling could be just-enough to revive an outdoor space for aesthetics, usability and safety.